Stylish indoor keypad solution for wired access control. Use the 212i to unlock mag locks, or an electric strike. 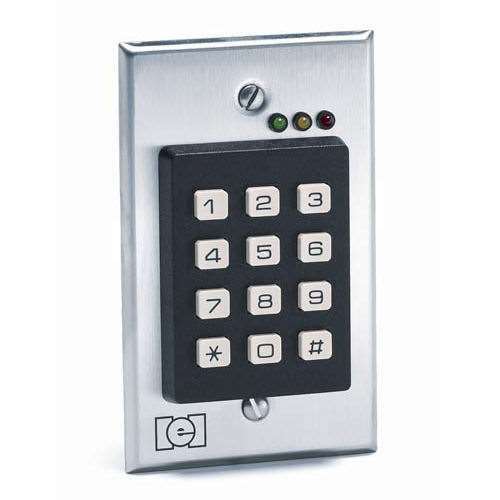 The keypad will actuate the mags or electric strike and you only need one power source. You will be able to order the power supply and electric locks at checkout. You may also add a remote release button to your setup using the MS Sedco remote transmitter and receiver. 2.75 (W) x 4.50 (H) x 1.3 (D) in. Ordered 3, one didn’t work, two worked great, will order more, if I can get one replaced. Received keyless pad in one day! Works great. We now have a great source. Privacy hoods this keypad would have to be crafted aftermarket. Great question, you'll want to reach out to RFTechnologies to ensure compatibility as they will know their system best. 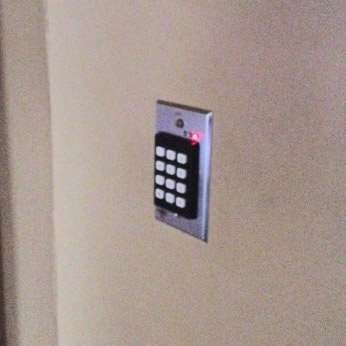 You can find the user manual here for directions on this keypad. However, as it can sometimes be a complicated procedure we highly recommend that you take advantage of our skilled technicians. You can purchase training from us at a cheaper rate than what Linear/IEI charges and we can even help you grow your system or replace it if necessary as we carry their entire line of products.